To use this feature, In-game HUD must be enabled. 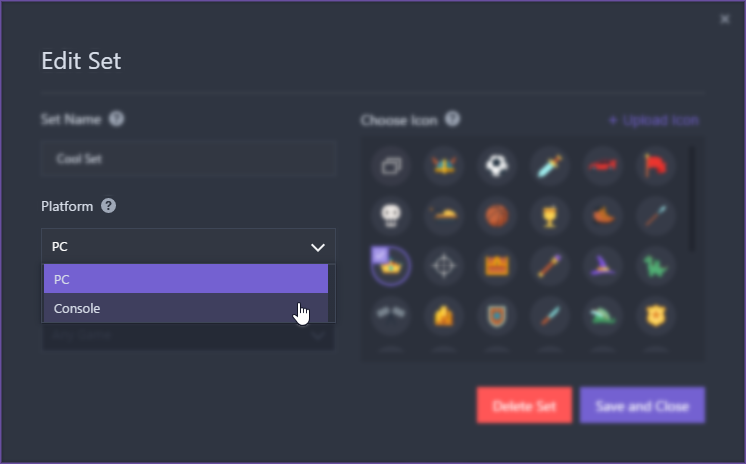 You can do this by going to Studio Settings, and then under the In-Game HUD tab > General, make sure the option Enable in-game HUD is checked. Your In-game HUD must be enabled. Your Set&apos;s Platform must be set to either PC or Console. Your Scene must have a Game Source widget. For PC games, the Set&apos;s Platform is set to PC by default. For more information on getting the Player app to detect your PC game, click here. For console games, you will need a capture card and adjust your Set&apos;s Platform to detect that capture card. For more information on getting Player to detect your console game, click here. 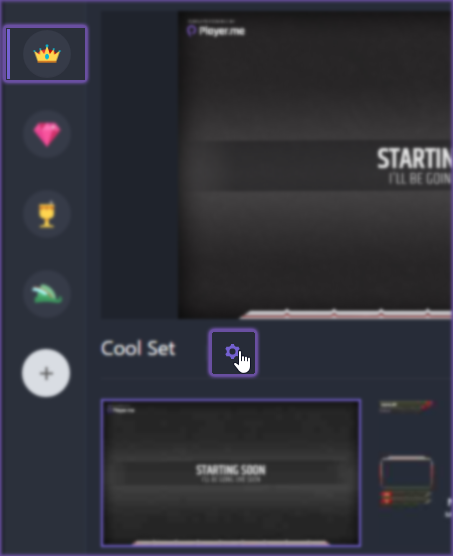 To check which Platform is selected, go to your Set and then click the (Gear) icon next to the Set’s name. In the Edit Set window, under Platform choose either PC or Console. For consoles, you will also need to select your connected capture device&apos;s name from the list. 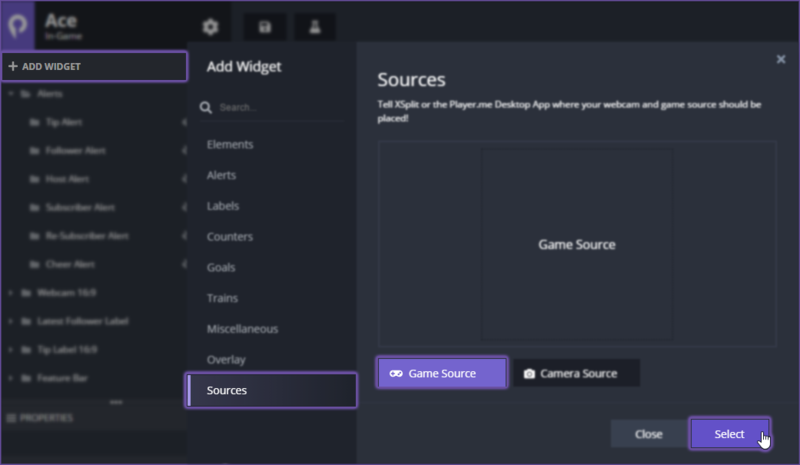 In the Studio, games are added into your Scene via the Game Source widget. 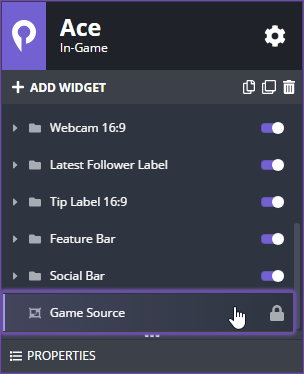 You can check this in the widgets list area within your Scene&apos;s Editor. If there&apos;s no Game Source widget, you can add it by going to Add widget > Sources > Game Source.